Barter Books : Alexander, C O [foreword] : H.M.S. 'Dauntless'. 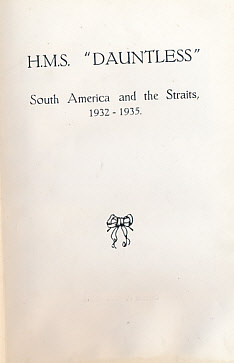 South America and the Straits 1932-1935. 190 x 120 mm (7 x 5 inches) - 227pp. G : in Good condition without dust jacket. Cover lightly rubbed and marked. Small ink stain on part of top edge with no impact on text.